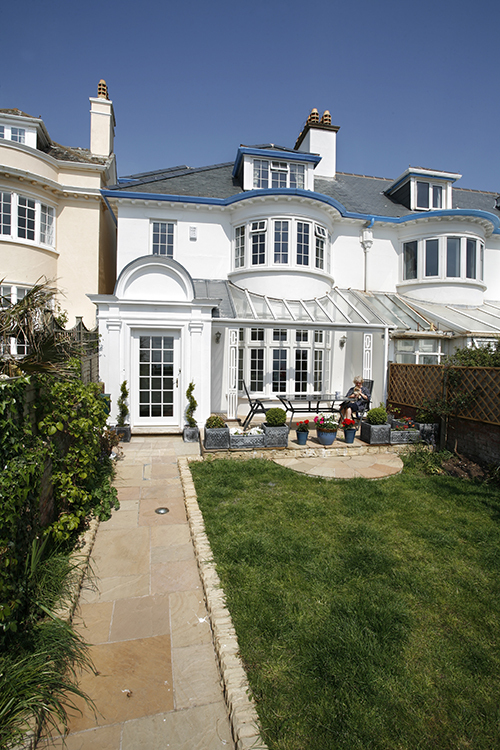 The superb bay windows available from Countryside Windows are the ideal thing for homeowners all over the South West of England. FENSA registered, we have examples of them installed in many locations in the region and have the know how to make sure that a great job is completed every time. Our aluminium frames mean that this type of window can be used to great effect in many different architectural settings, whether the home happens to be new or is one that has been in situ for years. Indeed, our bay-style products are also widely used in settings outside of home, from offices to commercial retail outlets. Ideal for a setting where a dramatic protrusion from a building will add something architecturally, or where the interior would benefit from a lighter and an airier feel, we can offer something for every project. When considering this type of window, it is a good idea to weigh up the benefits of an aluminium frame. Our bay-style windows provide a great advantage of lowering the noise that comes into a home due to the glazing and framing system selected. They are also incredibly easy to maintain. To look after an aluminium frame takes little effort – just clean it over with a cloth as you would the glass panes. Furthermore, a three-sided window must be able to offer your home the security it deserves. With a tough aluminium frame, our customers can rest assured that the window cannot be tampered with. Of course, all of our durable window products come with excellent latches and lock mechanisms. 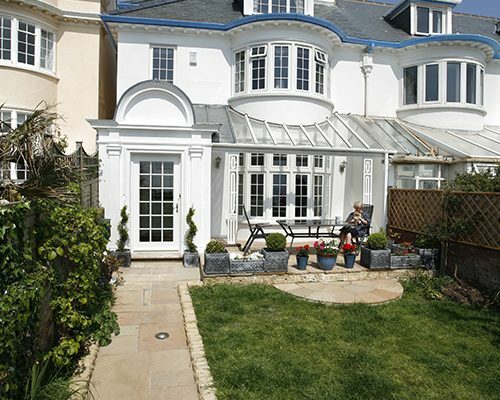 Essentially, our bay windows are manufactured using casement windows which are subsequently connected to one another using a strong pole assembly in the structure. Alternatively, corner posts are used if the window has right angles at each corner. In fact, this type of window is best described as combination of three separate windows with differing width dimensions. As the sun passes across the window, more light is allowed to come in and, when you are inside, it can feel as though you have extended your home. Similar to bow windows, which have multiple sections, this type of three pane window would make a great feature for a main reception room or for a master bedroom. Indeed, unlike a single pane of glass, our windows can improve the view that is afforded through them by splitting the vista up into different planes. To discover more about the types of bay windows on offer from Countryside Windows and the colour options that are available, please do not hesitate to make contact with us.